If you are a comic book fan then this is a must-watch. The state of comics today, both British and American, is so ingrained in the history of the comic book 2000AD that there is plenty fans of the genre will love here. This is the greatest strength of Future Shock, it is by the fans, for the fans. This means you get a no-holds barred, unchecked look at the story of the comic book which this week celebrates it’s landmark 2000th issue. It isn’t a dull history either, coming close to closure on numerous occasions, as well as spawning and nurturing some of the greatest comic book writing talents in the industry today. That is the other impressive aspect of Future Shock, it is so well-told by the witnesses of the time. From 2000AD creator Pat Mills, through to early talents like Dave Gibbons and Neil Gaiman and then on-wards to some of the comic book heavy-hitters like Grant Morrison. They all get a chance to tell their story and in an uncut, uncensored way, which is made even more interesting once an argument is brought to light and the two parties get a chance to give their conflicted views. The trouble with doing a comic book documentary is that the vignettes between interviews are restricted to mainly stills but when the animation, art and sequences are so inventive as they always were in 2000AD, you can’t help but become mesmerised by what is on-screen. 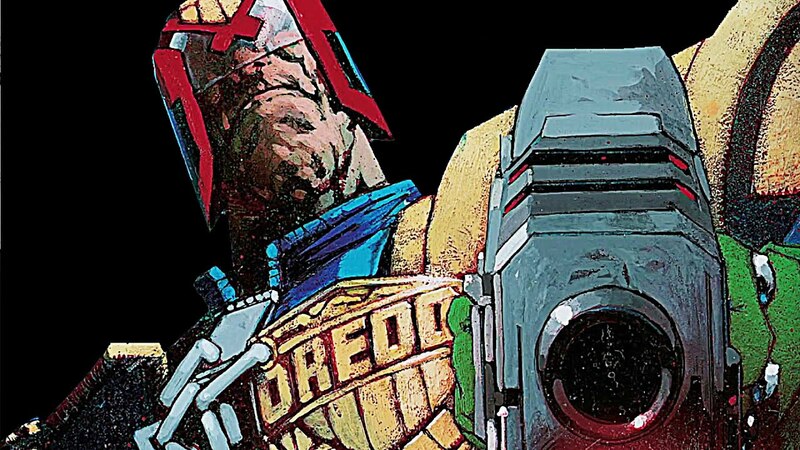 Some of the creatures, stories and visuals featured have complete stories to themselves, no more so than the comic’s greatest creation: Judge Dredd. 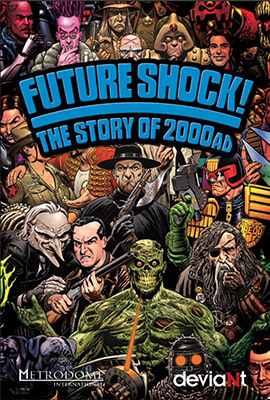 Future Shock is a fantastic documentary for the comic book fan. This is where the main issue lies though because if you’re not a comic book fan, you probably won’t care. The best documentaries can entertain anyone, regardless of prior interest but Future Shock doesn’t try that here. It is a film by the fans, for the fans and is unapologetic about it. Whether this is a negative is up to personal preference and opinion. Overall, Futureshock! The Story of 2000AD does exactly what it says in the title but perfectly. It is an in-depth, uncensored and unabridged history of one of the most influential series in comic book history. An essential for comic book fans, but unfortunately, probably not everyone else.